I didn’t have any plans for it, but it was just too pretty (and too soft) to languish, alone, at the yarn shop. Then, later on, I queued Bigger on the Inside (by Kate Atherly). I mean, Dr. Who, right? 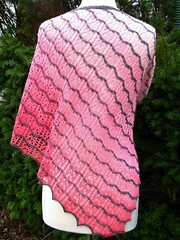 Who doesn’t want a TARDIS shawlette? 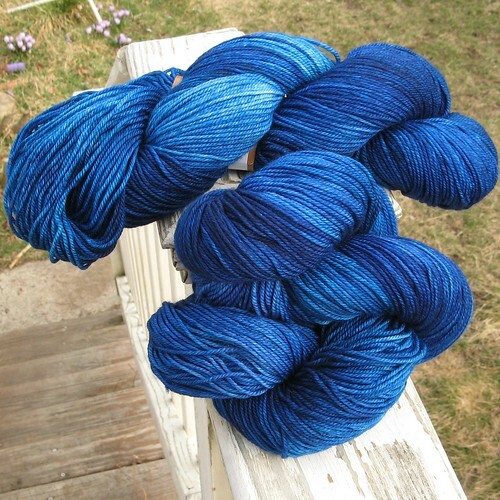 I even made a note in my queue that I should knit it “in TARDIS blue, obviously.” This week I connected yarn and pattern — voila! 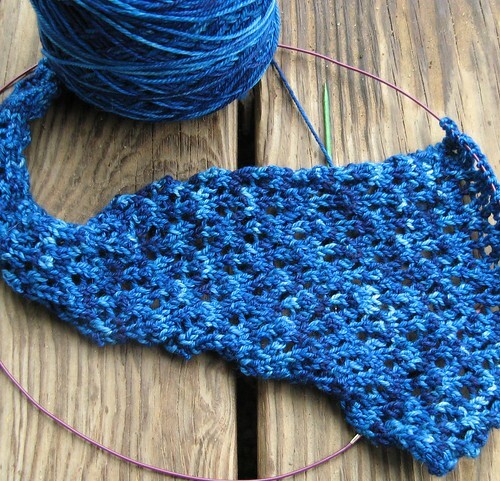 I know lace doesn’t look like much until it’s blocked — so don’t be too judgey about it’s somewhat lumpish appearance. I promise you it is verra pretty when I stretch it out and admire the pattern. I haven’t watched Dr. Who yet (I know, I know, how DARE I …), but a friend of mine loves the series! Ach … I’m still young, I hope to work it out. I’ve got that pattern on my queue too. I’ve just been waiting for a yarn to grab me. I like the variegation in yours. Thanks … I was a little worried it was too much variegation, but a test-block convinced me it would be ok. We’ll see!